Infographics are always thought-provoking and this one is no exception. I enjoy seeing numbers relative to population or geography. The information is based on data from Ethnologue, a comprehensive reference work cataloging all of the world’s known living languages since 1951. 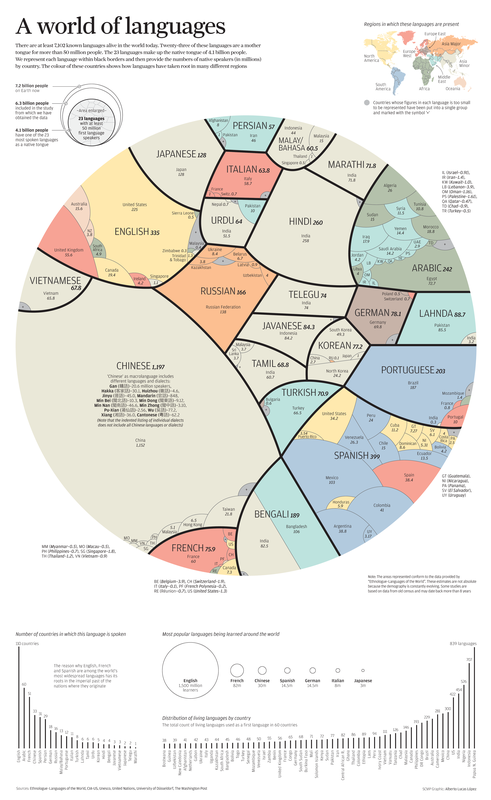 To see the full 2000px wide resolution of this pie chart click here.